Second Lieutentant, 7th Battalion London Regiment. Died of wounds 31 May 1915, age 30. Buried in Wimereux Communal Cemetery, pas de Calais, France, Grave reference III.P.1. Son of Albert John and Ada Aitkens of Windie-Edge, Southborough; husband of Phyllis Aitkens of "Strouds", Horsted Keynes, Sussex. Brother of Cyril Arthur Charles Aitkens. Born Honor Oak, Surrey. Also on Brenchley War Memorial, Kent and the Stock Exchange War Memorial to Those Who Fell in the Great War. "Soldiers Who Died in the Great War" gives the unit as 7th (City of London) Battalion, but according to EA James' British Regiments 1914-18, this should be 1/7th (City of London) Battalion, London Regiment. Lieutenant, Royal Engineers. Died of wounds 10 July 1916, age 23. Buried Dantzig Alley British Cemetery, Mametz, Somme: Plot VIII, Row F, Grave 3. Son of Albert John and Ada Aitkens of Windie-Edge, Southborough; brother of Albert Reginald Knight Aitkens. OSCAR MAIER is also buried in this Cemetery. Sapper 904, 1st/3rd Company Kent Field Company Royal Engineers. Died on 28 October 1915 age 20 in the Hythe disaster. Commemorated on the Helles Memorial, Turkey: Panel 23 to 25 or 325 to 328. Enlisted Southborough, son of Mrs Mary Ann Ashdown of 120 Silverdale Road, Tunbridge Wells, and the late CJ Ashdown. Charles had been with the unit for 3 years when he died; his nickname was "Bimp". He was educated at High Brooms School. He worked for the building firm Dunkley & Rogers and then Leacey Bros of Chapel Place at the time of mobilisation. Private M2/134509, Army Service Corps, II Corps, Heavy Artillery. Died 14 July 1916, age 23. Buried in the Albert Communal Cemetery Extension, Somme, France: Grave ref. I.T. Born Southborough, enlisted Dewsbury, resided Aylesbury. Son of Mary Emma Atkins of Bush Inn, Aylesford, Kent and the late George Atkins. Civilian. Died 12 September 1940, age 46. Buried in Tunbridge Wells Cemetery, Kent. Husband of Mrs B Avis, 10 Prospect Road, Southborough. An account in Voices of Southborough and High Brooms by Chris McCooey (Tempus Publishing 2000) given by Mr Avis' son Jack, names the location of his father's death as Baysinghall Lane, Tunbridge Wells. James Peter Avis was the only Southborough civilian to lose his life by enemy action during World War II. It is sometimes said, according to researcher Clive Maier, that Southborough is one of only three towns in Kent to have suffered no civilian fatalities during the war from enemy action from sadly that is untrue. The 1937 (46th) edition of Kelly's Directory of Tunbridge Wells, Tonbridge, Crowborough, Southborough and Neighbourhood names the location as Basinghall Street, and places it as running from 6 Grosvenor Road to Goods Station Road. The bombed wholesale grocers where James Peter Avis worked must have been Wallis & Lee Ltd of 2 Basinghall Street. Private TF/203420, 1/7th Battalion Middlesex Regiment. Died 25 May 1918. Buried in Wanquetin Communal Cemetery Extension, Pas de Calais, France: Grave ref. II.A.4. Born Southborough, Kent; enlisted Reading, Berkshire; resided Uxbridge, Middlesex. Aircraftwoman First Class 2000661, Women's Auxiliary Air Force. Died 4 December 1946, age 24. Buried in Southborough Cemetery, Tunbridge Wells, Kent: Grave ref. 4.90. Daughter of Mr & Mrs J Penfold; wife of AE Barton of Blackpool, Lancashire. Private E Batchelor, Service No. 44, 11th Battalion, Middlesex Regiment. Died 5 April 1918 (same day as GEORGE T HUGGETT, who is commemorated on the SWM). Buried in Warloy-Baillon Communal Cemetery Extension, Somme (same cemetery as CHARLES MOON, who is commemorated on the SWM). Driver T/70948, Royal Army Service Corps. Died 31 July 1945, age 24. Buried in Tunbridge Wells Cemetery, Kent: Grave ref. Gen. Sec. 2C, 881. Son of Walter and Cathleen Bateman; husband of Dorothy Eileen Bateman of High Brooms, Tunbridge Wells. Sapper 1009, 1st/3rd Kent Field Coy, Royal Engineers. Died on 28 October 1915, age 20, in the Hythe disaster. Commemorated on the Helles Memorial, Turkey: Panel 23 to 25 or 325 to 328. Second son of James and Amelia Brewer of 84 Auckland Road, Tunbridge Wells. He had been in the unit for 2 and a half years before his death. Civilian. Died 17 April 1946, age 43, at Southborough as a result of an illness contracted while on duty as Section Leader in the National Fire Service. Buried in Tonbridge Cemetery, Kent. Husband of Mrs GM Bridger, 5 Meadow Road, Southborough. Lieutenant , Royal Army Service Corps. Died 30 November 1918, age 43. Buried Grangegorman Military Cemetery, County Dublin: Grave ref. CE. Officers, 32. Son of Henry Vincent and Jane Amy Briginshaw of The Swallows, Park Road, Southborough. Married Mildred Hartridge in 1908 in Milton. Frank Brown was born 29 Mar 1913, 23 Gt Brooms Road, Southborough, Kent, and died 27 Sep 1943, Salerno, ItalyOccupation: Cement mixer. Married 10 Nov 1934, St Paul's Church, Rusthall, Kent to Kathleen Florence. (Photo and information by permission Roughwood Genealogy website, with thanks). Private 1132, 1/2nd Battalion London Regiment (Royal Fusiliers). Died 17 September 1916, age 34. Commemorated on the Thiepval Memorial, Somme: Pier and Face 9D and 16B. Husband of Edith Buckwell, of 18 Weare Road, High Brooms. Private G/11802, 8th Battalion Queen's Own (Royal West Kent Regiment). Died 27 June 1916. Buried in Danoutre Military Cemetery, Heuvelland, West-Vlaanderen, Belgium: Grave ref. I.F.14. Son of Albert Thomas and Elizabeth Ann Carr of White Cottage Lane, Speldhurst. Born Southborough, enlisted Tunbridge Wells. Private 6346679, 4th Battalion Queen's Own (Royal West Kent Regiment). Died 12 May 1940, age 21. Commemorated on Special Memorial A in Le Grand Hasard Military Cemetery, Morbecque, Nord, France. Son of James William and Agnes Chatfield, of Southborough, Kent. Lieutenant Colonel, Royal Corps of Signals. Died 1 March 1947. age 48. Buried in Brookwood Cemetery, Surrey: Grave ref. Oddfellows Ground, 211779. Son of Thomas and Louise Chinn; husband of Ethel Ada Chinn of Southborough, Tunbridge Wells, Kent. Pilot Officer 139592, 620 Squadron Royal Air Force Volunteer Reserve. Died 12 August 1943. age 32. Buried St Desir War Cemetery, Calvados, France: Grave ref. Coll grave VIII, 1-8. Son of Arthur and Lily Sophia Clara Clarke of Southborough, Kent. A.C.A. Pilot Officer Clarke took off from Chedburgh at the controls of Stirling III bomber BK713 QS-E, bound for Turin. The aircraft crashed at Mittainvilliers (Eure-et-Loire), 14km WNW of Chartres in France. The crew of eight were all killed and are all buried in St Desir War Cemetery. Gordon Harvey Clarke's daughter Susan Davies, an alumna of Tunbridge Wells Grammar School, writes: My father was born in 1910. His parents were Arthur Clarke and Lily Sophia Clarke nee Harvey. Arthur was from Matlock in Derbyshire and was one of the early apprentices at Rolls Royce in Derby. He worked all his life for a wealthy man called Arthur Gibbs first in Bramley, Guildford and then in Tunbridge Wells. He maintained and drove the Bentleys and Rolls Royce cars all over the world. Lily Sophia was a head gamekeeper's daughter from Dorset who became ladies' maid to Lady Strachey. My father had a younger brother, Richard Clarke. Both were brought up in Bramley and attended Guildford Grammar School. My father matriculated in 1927 with Maths, Physics, English, French and History. He became an articled clerk with a firm of Chartered accountants in London and qualified in 1933 with a position of 17th in the Institute of Chartered Accountants results. He worked for the firm of Herbert Hill and Co and became a partner. By then he and his family had moved to Tunbridge Wells. In 1936 he married my mother, Phyllis Marjorie Clara Smith of Tunbridge Wells. She was always known as Marjorie. I was born in 1941 and my brother Timothy in 1942. 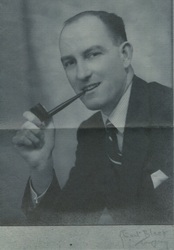 My father was a keen cricketer and golfer and smoked a pipe. I'm not sure when he volunteered for the RAF but think it was 1942. At the time of his death we were living at 21 Yew Tree Road Southborough. My maternal grandmother always spoke very highly of him and said he was a lovely kind man. He trained as a pilot at Cranwell and was also at Banbury. I think he trained on Lancasters and Wellingtons but flew a Stirling on his last mission which I think was to Turin. I have visited the St Desir cemetery where he is buried. He and the crew were originally buried near where they crashed at Chartres but were transferred. Southborough Town Council is now (2013) looking into adding Gordon Harvey Clarke to the Southborough War Memorial. Second Lieutenant, 9th Battalion Worcestershire Regiment. Died 20 April 1916, age 22. Commememorated on the Basra Memorial, Iraq: Panel 18 and 63. Son of Richard Webb Compton and Louisa Compton of Beechcroft, Park Road, Southborough. The Basra Memorial commemorates more than 40,500 members of the Commonwealth forces who died in the operations in Mesopotamia from the Autumn of 1914 to the end of August 1921 and whose graves are not known. Until 1997 the Basra Memorial was located on the main quay of the naval dockyard at Maqil, on the west bank of the Shatt-al-Arab, about 8 kilometres north of Basra. Because of the sensitivity of the site, the Memorial was moved by presidential decree. The move, carried out by the authorities in Iraq, involved a considerable amount of manpower, transport costs and sheer engineering on their part, and the Memorial has been re-erected in its entirety. The Basra Memorial is now located 32 kilometres along the road to Nasiriyah, in the middle of what was a major battleground during the first Gulf War. The Panel Numbers quoted at the end of each entry relate to the panels dedicated to the Regiment served with. Private 29178, 8th Battalion East Surrey Regiment. Died 7 August 1918. Commemorated on Pozieres Memorial, Somme, France: Panel 44 and 45. Born Groombridge, enlisted Maidstone, resided Southborough. Captain Gordon Morris Downes 160997, The Buffs. Died 9 April 1943, age 38. Buried in Beja War Cemetery, Tunisia. 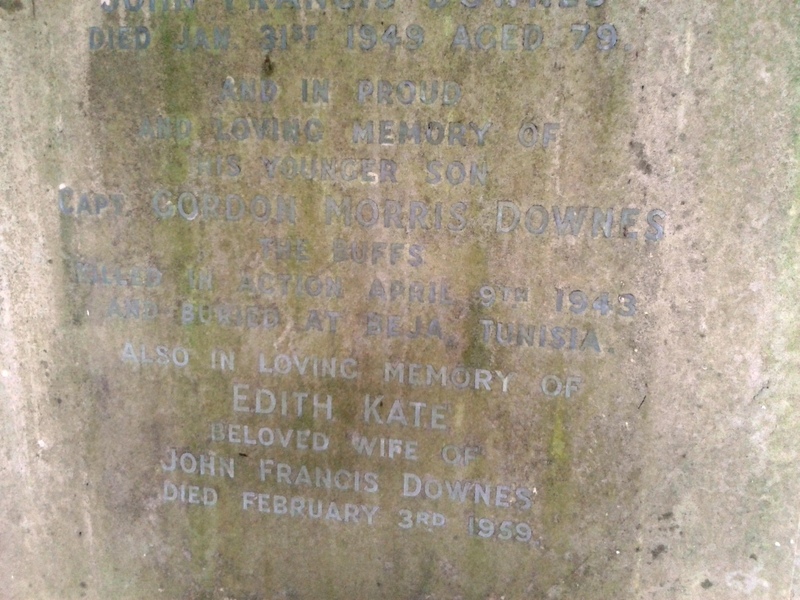 Second son of John Francis and Edith Kate Downes. I was made aware of Captain Downes when I came across his parents' gravestone in Southborough Cemetery, on which he is commemorated. The CWGC site gives the following information: On 8 November 1942, Commonwealth and American troops made a series of landings in Algeria and Morocco. The Germans responded immediately by sending a force from Sicily to northern Tunisia, which checked the Allied advance east in early December. Beja was just behind the limit of the advance that winter.In May 1943, the war in North Africa came to an end in Tunisia with the defeat of the Axis powers by a combined Allied force. Lance Corporal 44667, Ist Battalion South Wales Borderers. Died 15 September 1918, age 27. Buried in Vadencourt British Cemetery, Aisne, France: Grave ref. V.C.12. Son of AS and Jane Dunk of Hastings, Sussex; husband of EM Mewett (formerly Dunk) of 33 Taylor Street, Southborough. Captain, 1/1st Kent Cyclist Battalion. Died 21 September 1920. Buried in Tunbridge Wells Cemetery: Grave ref. B.3.257. Son of Lieutenant Colonel Edwin Dunn and Helen Flora Dunn of Andenne Oaks, Southborough. Captain, 1/5th Battalion Lincolnshire Regiment. Died 18 March 1919. Killed accidentally. Buried in Tunbridge Wells Cemetery: Grave ref. B.3.257. Son of Lieutenant Colonel Edwin Dunn and Helen Flora Dunn of Andenne Oaks, Southborough. Private TF/1961, 2/4th Battalion Queen's Own (Royal West Kent Regiment). Died of wounds 10 October 1915. Buried in Alexandra (Chatby) Military and War Memorial Cemetery, Egypt: Grave ref. D106. Son of William and Elizabeth Duvall of 11, Houseland Road, Tonbridge. Born Southborough, enlisted Tonbridge. Private 78050, 131st Company, Labour Corps. Died of wounds 20 June 1917. Buried in Mendinghem Military Cemetery, Poperinghe, West-Vlaanderen, Belgium: Grave ref. II.D.62. Born Southborough, enlisted Tonbridge. Formerly 48703, Royal West Surrey Regiment, Labour Corps. Private 41153, 2nd Battalion Essex Regiment. Died of wounds 14 April 1917, age 40. Buried in Aubigny Communal Cemetery Extension, Pas de Calais: Grave ref. II.E.3. Husband of Elizabeth Ann Eade of Wye, Ashford, Kent. Native of Southborough; enlisted Woolwich; resided Blackheath. Formerly 6543 London Regiment, 2nd Battalion Essex Regiment. Private 13369, Machine Gun Corps (Infantry). Died 30 July 1917, age 37. Commemorated on the Ypres (Menin Gate) Memorial, Ypres, West-Vlaanderen, Belgium: Panel 56. Son of Obed Edwards of 42 South View Road, High Brooms. Walter's great-niece Fiona Baker (nee Freeman) writes with mention of her grandfather Frederick "Thomas" Freeman (see below). Private 2011, 65th Field Ambulance Royal Army Medical Corps. Died 21 March 1916. Buried in Longuenesse (St Omer) Souvenir Cemetery, Pas de Calais, France: Grave ref. II.B.46. Husband of Elizabeth Fisher of 5 Macdonald Street, Wavertree, Liverpool. Born Southborough, enlisted St Helen's, Lancashire; resided Prescot, Lancashire. Sergeant T/270580, 10th (Royal East and West Kent Yeomanry) Battalion, The Buffs (East Kent Regiment). Died 6 September 1918. Buried in Tincourt New British Cemetery, Somme, France: Grave ref. VII.G.21. Formerly 864 1/1st West Kent (Queen's Own) Yeomanry. Born Southborough; enlisted Tunbridge Wells, resided Tunbridge Wells. SDGW gives the service number as T/270587. Fiona Baker (nee Freeman) writes in 2012: My Grandfather, Frederick "Thomas" Freeman, died on 12th September 1940 when a German bomber offloaded a bomb onto his place of work, Wallis & Lee of Basinghall Street. He was 45 years of age and left his wife, Edith (nee Edwards) and his son, my father, Frederick Edward Freeman, aged 14. The events of that night remain horribly vivid for my dear old Dad who's now 84. Private L/10325, 1st Battalion Queen's Own (Royal West Kent Regiment). Died 14 June 1915. Buried in Longuenesse (St Omer) Souvenir Cemetery, Pas de Calais, France: Grave ref. I.A.158. Son of Mr J and Mrs E Frost of 4 Walker's Cottages, St John's, Tunbridge Wells. Born Southborough; enlisted Maidstone. Listed as L/10324 in Soldiers Died in the Great War. Private 6208559, 2nd Battalion Princess Louise's Kensington Regiment (Middlesex Regiment). Died 30 June 1944, age 30. Buried in Tilly-sur-Seulles War Cemetery, Calvados, France: Grave ref. III.H.10. Son of Stephen and Annie Emily Gilbert, of Southborough. Sapper 1225, 1/3rd Kent Field Coy, Royal Engineers. Died 28 October 1915 in the Hythe disaster, age 41. Commemorated on the Helles Memorial, Turkey: Panel 23 to 25 or 325 to 328. Son of William and Alice Gower; husband of Sarah Gower of 118 Silverdale Road, Tunbridge Wells. Born London, enlisted Southborough. Father of four children. Worked for the Tunbridge Wells Gas Company. Private 7290, 90th Company Machine Gun Corps. Died 10 July 1916. Commemorated on the Thiepval Memorial, Somme, France: Pier and Face 5C and 12C. Son of George and Florence Groombridge of Meopham Park Cottage, Hildenborough, Kent. Born Southborough, Kent; enlisted Eastbourne; resided Tonbridge, Formerly G/8012, Royal Sussex Regiment. George may have been related to William Groombridge (on SWM). Sergeant, Royal Air Force Volunteer Reserve, Service No. 1323394. Died 13 January 1944, age 20. Commemorated on Alamein Memorial, Egypt: Column 280. Son of Thomas William and Violet May Grove of Southborough, Tunbridge Wells. Lance Bombardier 788655, 16th Battery 2 HAA Regiment, Royal Artillery. Died 27 April 1941, age 30. Commemorated on Athens Memorial, Greece: Face 2. Adopted son of Mr and Mrs R Bird, husband of EFL Hall of Southborough, Kent. Date of death listed by CWGC as 26th - 27th April 1941. Flight Sergeant, 295 Squadron Royal Air Force Volunteer Reserve. Died 19 September 1944, age 22. Commemorated on Runnymede Memorial, Surrey: Panel 218. Son of Mr and Mrs SH Hall of Southborough, Tunbridge Wells. Rifleman 565102, A Company, 1/6th Battalion London Regiment (Queen's Westminster Rifles). Died 16 May 1918, age 34. Buried in Aubigny Communal Cemetery Extension, Pas de Calais, France: Grave ref. IV.K.15. Son of George and Sarah Elizabeth Hill of 244 St John's Road, Tunbridge Wells, Kent. Native of Southborough. Formerly 5567 17th Battalion London Regiment. Enlisted Woolwich; resided Greenwich. Buried in same cemetery as Harry Young (on SWM). Sapper 1642, 1/6th Kent Fortress Company Royal Engineers. Died at home 25 March 1915. Buried in Rusthall (St Paul) Churchyard, Kent: Plot 24, Row 86. Born Tunbridge Wells, enlisted Gillingham, Kent; resided Southborough, Kent. Corporal T/990848, Royal Army Service Corps. Died on 14 March 1946, age 33. Buried in Southborough Cemetery, Kent: Plot 3, Row 422. Son of Robert Samuel and Emily Jane Hollamby; husband of Doris May Hollamby of High Brooms, Tunbridge Wells. Possibly a relative of Edward Hollamby? Sapper 939, 1st/3rd Kent Field Company, Royal Engineers. Died 28 October 1915, age 23, in the Hythe tragedy. Commemorated on Panel 23 to 25 or 325 to 328 of the Helles Memorial, Turkey. Son of George and Mary Jeffery of 96, Silverdale Road, Tunbridge Wells. Born Tunbridge Wells, enlisted Southborough. An early enlistment into the Company, pre-war he had been a member of the unit band. He was employed with the Telephone Company. He had attended the Victoria School and also St John's School. Private G/12099, 7th Battalion Queen's Own (Royal West Kent Regiment). Died 2 October 1916, age 24. Commemorated on the Thiepval Memorial, Somme, Pier and Face 11C. Son of Mrs Sarah Jeffery of 8 Bedford Road, Southborough (the family of John Edgar Dunn had also lived at this address at the time of the 1901 Census). Private 33286, 8th Battalion Bedfordshire Regiment. Died 15 November 1917, age 44. Buried in Leeds (Harehills) Cemetery, Yorkshire: Grave ref. G.74. Son of James and Anna Keemar of 77 Colebrook Road, High Brooms. Born at Brighton. Private 12121, 7th Battalion The Buffs (East Kent Regiment). Died 29 September 1917. Buried in Nine Elms British Cemetery, Poperinge, West-Vlaanderen, Belgium: Grave ref. III.B.1. Son of Mrs L Knight of 108 Shipbourne Road, Tonbridge, Kent. Born Tonbridge, enlisted there, resided Southborough. Rifleman 1980, 1/9th Battalion London Regiment (Queen's Victoria Rifles). Died 1 January 1915. Commemorated on the Ypres (Menin Gate) Memorial, Ieper, West-Vlaanderen, Belgium: Panel 54. Born Southborough, enlisted London. Private 6412331, 1st Battalion Dorsetshire Regiment. Died 19 July 1943, age 20. Buried in the Catania War Cemetery, Sicily: Grave ref. III.K.32. Son of Donald and Mabel McPhee of Southborough, Kent. UPDATE January 2013: The family of Denis McPhee has contacted Southborough Town Council since the publication of Southborough War Memorial, and his name has now been added to Southborough War Memorial. His story has been added to the revised version of Southborough War Memorial, which is only available as an e-book. Service Number 28134, Royal Air Force Volunteer Reserve. Died 6 February 1943, age 35. Buried in Ashbourne Cemetery, Derbyshire: Grave ref. A.352. Son of John Alexander and Mary Louise Middleton, husband of Margaret Elizabeth Middleton of Southborough, Kent. Sergeant 6714, 1st Battalion Cameron Highlanders. Died 9 May 1915, age 27. Commemorated on the Le Touret Memorial, Pas de Calais: Panel 41 and 42. Son of Major William Morrison of 5 Prospect Road, Southborough. Died on the same day as Herbert William AVARD, Robert BASSETT and William Alfred JAMES. All of these are commemorated on the same Memorial at Le Touret, as is James George HAYMON. Second Lieutenant 1st Battalion East Yorkshire Regiment. Died 9 April 1917, age 19. Buried in Wancourt British Cemetery, Pas de Calais: Grave ref. VIII.A.10. Born at Malta. Son of Major and Mrs W Morrison of 5 Prospect Road, Southborough. Died on same day as William Ellingham RYE and Maurice Carter VOILE. Private John Henry Mugford, 6287799, The Buffs (Royal East Kent Regiment). Died 15 June 1941, age 22. Buried in Malbork Commonwealth War Cemetery, Poland. Malbork was formerly German city of Marienburg. It is in the north of Poland, approximately 60 kms SE of Gdansk. Son of Nathan Mugford and Eva Harriet Mugford of Ramsgate, Kent (CWGC website). As stated in our last issue, news has been received of the death at the Prisoner of War Hospital, near Danzig, on June 15 of Pte J Mugford. The son of Mrs E Mugford, of 5, Elm-road, Southborough, he had been a prisoner since the middle of last year, and was in his 23rd year. Captain 140041, Glider Pilot Regiment AAC. Died 26 September 1944, age 26. Buried in Rhenen General Cemetery, Utrecht, Holland: Grave ref. 27.C.12. Son of James Tough Ogilvie and Mary Isobel Ogilvie; husband of Sadie Mary Ogilvie of Southborough. Private 7171, 2nd Battalion Honourable Artillery Company. Died 15 May 1917, age 30. Buried in London Cemetery, Neuville-Vitasse, Pas de Calais: Grave ref. II.G.8. Son of William Walter and Eliza Spencer Peak of 16 Hyde Lane, Marlborough, Wiltshire. Enlisted Hastings, resided Southborough. Buried in same cemetery as Frederick Turner. Private G/7657, 6th Battalion The Buffs (East Kent Regiment). Died 7 October 1916. Commemorated on the Thiepval Memorial, Somme: Pier and Face 5D. Born Southborough, enlisted and resided in Hastings, Sussex. Possibly a relative of George Henry Penfold? Died on the same day as Ernest Brotherhood, who is also commemorated on the Thiepval Memorial. From the Courier, undated: Official information has been received by Mrs Pocock, 8 Norton-road, that her nephew (and adopted son) was killed in action in France on Easter Sunday. Before joining the Army soon after the outbreak of war Private Pocock was for a time employed as a conductor on the trams at Hastings. He leaves a widow and two children. He had been in France almost twelve months. Private G/5436, 8th Battalion, Queen's Own (Royal West Kent Regiment), B Company. Died on 26 September 1915. Commemorated on the Loos Memorial, Pas de Calais: Panel 95 to 97. Son of Ebenezer and Fanny Pratt of Home Lea, Salisbury Road, Langton, Tunbridge Wells. Born Southborough, enlisted Tunbridge Wells. Was in the same Company, died on the same day, and commemorated on the same memorial as Edward Alexander Ellis and Henry Oliver Muggridge. Private 79003, 1/7th Battalion Durham Light Infantry. Died on 13 April 1918. Commemorated on the Ploegsteert Memorial, Comines-Warneton, Hainaut, Belgium: Panel 8 & 9. Son of Frank William and Lucy Puttock of 141 Loder Road, Brighton. Born Southborough, enlisted Hove; resided Brighton. Formerly 6802 Yorkshire Regiment. In the same company as Arthur George Damper, who died on 27 March 1918. Rifleman A/202670, 10th Battalion King's Royal Rifle Corps. Died 1 December 1917. Buried in Honnechy British Cemetery, Nord, France: Grave ref. II.D.79. Born Southborough, enlisted Maidstone, resided Tunbridge Wells. Flight Lieutenant 9040, DFC, 601 Squadron Royal Air Force. Died 6 September 1940, age 26. Buried in Parnham Private Cemetery, Parnham, Dorset. Born January 1914 at Brompton Square, London, the only son of William Barnard Rhodes-Moorhouse. Educated at Eton. Obtained pilot's licence at Heston aged 17. 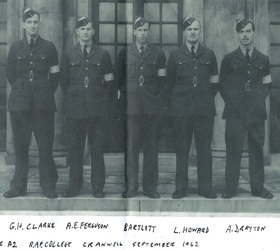 Joined 601 Squadron Auxiliary Air Force in 1937. Skied in Winter Olympic Games 1937/38. Called to full-time service on 26 August 1939. In November 1939 flew a Blenheim in the attack on a German seaplane base at Borkum. In May 1940, went with 'A' Flight to Merville. From May 1940 to his death in September 1940, Battle of Britain ace "Willie" Rhodes-Moorhouse shot down one He111 and had a share in another, 4 Bf109s with a further 2 probables, one DO17 with a share in two others, and one Ju88. He was awarded the DFC on 30 July 1940. He was shot down and killed in combat over Tunbridge Wells, when his Hurricane P8818 crashed near High Brooms railway viaduct in Southborough at 0930h on 6 September following combat with Bf109s. He had taken off from Tangmere in Sussex. On 26 April 1915, his father Second Lieutenant William Barnard Rhodes-Moorhouse had become the first airman to be awarded the Victoria Cross. He was mortally wounded while bombing the railway near Courtrai and died the next day. His was one of the very few bodies to be repatriated. Father and son are buried together on a hillside in the grounds to the west of their home at Parnham House near Beaminster in Dorset. Private 10033, 4th (Royal Irish) Dragoon Guards. Died of wounds 27 March 1918, age 32. Commemorated on Pozieres Memorial, Somme, France: Panel 2. Son of Mr and Mrs Alfred Roberts of 21 Furrough Cross, Babbacombe, Torquay; husband of Fanny Maria Roberts of 15 Speldhurst Road, Southborough. Born St Marychurch, Torquay, enlisted Exeter, resided Southborough. Resident at same address as Harold John Player. Rifleman S/24836, 13th Battalion Rifle Brigade. Killed in action 4 November 1918, age 26. Buried in Ghissignies British Cemetery, Nord, France: Grave ref. B22. Son of Edwin and the late Elizabeth Saunders of Southborough; husband of Mildred Saunders of 144 The Grove, Hammersmith, London. Private 203336, 2nd Battalion Oxfordshire and Buckinghamshire Light Infantry, formerly 3323 QOOH. Died of wounds 26 August 1918. Buried in St Hilaire Cemetery Extension, Frevent, Pas de Calais, France: Grave ref. N15. Born Southborough, enlisted Oxford. From newspaper clipping, undated: Mrs Simmons, 13 Prospect-road, Southborough, has received news from the Captain that her husband, Pte Pc Simmons, is reported missing since the 23rd of March. He was called up at the commencement of the war, having been in the Royal West Kent Yeomanry for 10 years. He was for 15 years employed at the General Post Office, Tunbridge Wells, and is well known as a cartoonist. He was in France for 18 months, and was then transferred to Italy, but sent back to France in March during the recent offensive. He is the second son of Mr and Mrs Simmons, of 1, Frant-road. Private 62608, West Yorkshire Regiment (Prince of Wales' Own). Died 2 November 1918. Buried in Southborough Cemetery, Grave ref: 3.341. Corporal 6094367, 1/6th Battalion The Queen's Royal Regiment (West Surrey). Died 10 April 1943, age 23. Buried in Enfidaville War Cemetery, Tunisia, Grave ref: II.A.1. Son of Charles Stanford and Edith Louisa Stanford of Southborough. From CWGC site: The town of Enfidaville is 100 kilometres south of Tunis on the main coast road. The War Cemetery is 1 kilometre west of the town centre, on the road to Zaghovan, and its approaches are well signposted. In May 1943, the war in North Africa came to an end in Tunisia with the defeat of the Axis powers by a combined Allied force. The campaign began on 8 November 1942, when Commonwealth and American troops made a series of landings in Algeria and Morocco. The Germans responded immediately by sending a force from Sicily to northern Tunisia, which checked the Allied advance east in early December. Meanwhile, in the south, the Axis forces defeated at El Alamein were withdrawing into Tunisia along the coast through Libya, pursued by the Allied Eighth Army. By mid April 1943, the combined Axis force was hemmed into a small corner of north-eastern Tunisia and the Allies were grouped for their final offensive. The Eighth Army attack on the position at Enfidaville on 19 April captured the village, but strong resistance meant no further progress was possible. Attacks further north met with greater success and Tunis fell on 7 May, Bizerta on the 8th. By 11 May, the position at Enfidaville was surrounded at resistance ceased on the following day. Most of those buried at Enfidaville War Cemetery died in the final battles from March to the beginning of May. The cemetery contains 1,551 Commonwealth burials of the Second World War, 88 of them unidentified. Private 3919, 45th Battalion Australian Infantry. Died 15 August 1916, age 22. Commemorated on the Villers-Bretonneux Memorial, Somme, France. Born Southborough. Son of Frederick Bourne Stephens and Margaret Stephens pf Newhaven, Wonovia Road, Hurstville, New South Wales. Percy emigrated to Australia at the age of 18. He worked as a motor driver at Peakhurst, Hurstville, New South Wales. He had served in the Territorials in England. Private 41628, 7th Battalion Leicestershire Regiment. Died 29 April 1918, age 19. Commemorated on Tyne Cot Memorial, Zonnebeke, West-Vlaanderen, Belgium: Panel 50 to 51. Son of Alfred and Jane Stevens of 45 South View Road, High Brooms. As mentioned in Southborough War Memorial, The Courier of 7 June 1918 states: Mrs Stevens of South View Road has received news that her son, Private John Stevens, was killed in action in France on April 29th. He only reached his 19th birthday on May 11th. Before joining he was a member of Mr Sibthorpe's Brotherhood. Mrs Stevens has two other sons serving. 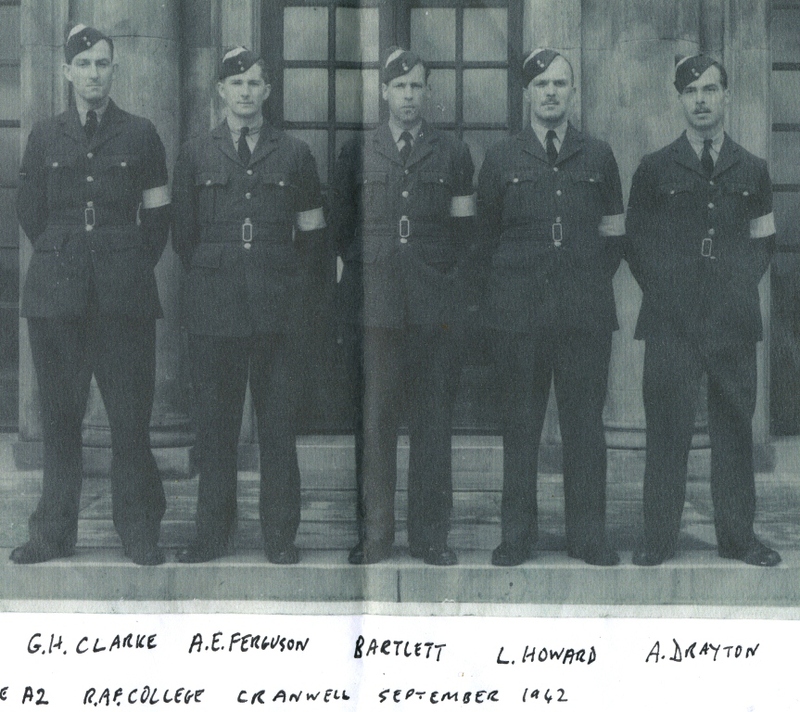 Flight Lieutenant 545602, 12 Squadron Royal Air Force. Died on 26 February 1945, age 27. Buried in Lincoln (Newport) Cemetery, Lincolnshire: Grave ref. Section H.269.North. Son of Walter John Dalton Stone and Florence Emmeline Stone of Southborough. Flight Lieutenant Stone was killed on a training mission in Lancaster III bomber PB243 PH-D. The crew of six were all killed when the aircraft dived into the ground at 1438h near Straiton le Vale, 5ml NE of Market Rasen, Lincolnshire. 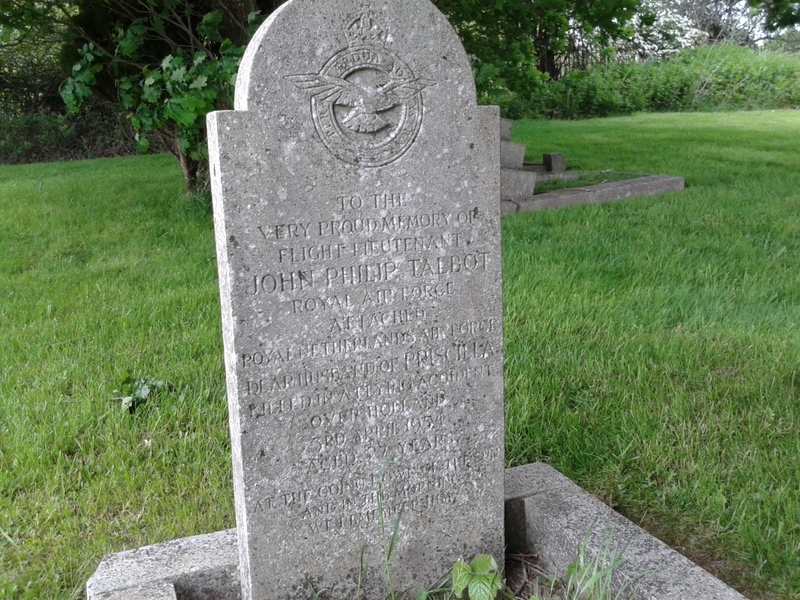 I came across Flight Lieutenant Talbot's touching grave stone while walking round Southborough Cemetery. He was RAF, but attached to the Royal Netherlands Air Force, and was killed in a flying accident over Holland on April 3rd, 1954. Nine years after the end of the Second World War, but I felt he should be included on this page nonetheless. Lieutenant 33rd Brigade Royal Field Artillery, 55th Battery. Died 31 July 1917, age 33. Buried in Vlamertinghe New Military Cemetery, Ypres, West-Vlaanderen, Belgium: Grave ref. VI.A.4. Son of William and Alice Mary Taylor; husband of Margery Hooper Taylor of The Mill House, Speldhurst, Kent. Native of Southborough. Rifleman 3008, 6th Battalion London Regiment (City of London Rifles). Died 5 November 1915, age 22. Buried in Dud Corner Cemetery, Loos, Pas de Calais, France: Grave ref. I.H.6. Son of William Thorndycraft of 16 Pennington Road, Southborough. Private 250648 (5650) 1/6th Battalion, Durham Light Infantry. Died of illness 24 March 1917, age 26. Buried in Oxford (Botley) Cemetery, Oxfordshire: Grave ref. II.78. Son of Charles and Joyce Titchmarsh of 91 Edward Street, Southborough; husband of Maude Ethel Titchmarsh, of 91 Edward Street. Born at Croydon Village, Royston, Hertfordshire. Private 44164, 23rd Battalion Middlesex Regiment. Died 1 April 1917, age 27. Buried in Dickebusch New Military Cemetery, Ypres, West Vlaanderen, Belgium: Grave ref. AA: 28. Son of Albert and Ann Maria Turner of Frant, Sussex; husband of Ethel Maud Still (formerly Turner) of 28 London Road, Southborough. Group Captain, RAF. Died 2 July 1942, age 58. Buried in Delhi War Cemetery, Grave ref: I.K.10. Son of George and Annabel Vaughan-Fowler, husband of Winifred Mary Vaughan-Fowler of Southborough. Private 13158, 8th Battalion Royal Berkshire Regiment. Killed in action 25 September 1915. Commemorated on Loos Memorial, Pas de Calais, France: Panel 93 to 95. Son of Charles and Elizabeth Vidler. Born Southborough, Kent, enlisted Reading, resided Tunbridge Wells. Greaser, Merchant Navy, MV Leon Martin (Glasgow). Died 13 November 1940, age 26. Commemorated on Tower Hill Memorial, London: Panel 64. Son of Sydney and Mabel Maisie Violet of Southborough, Kent. Awarded Greek Nautical Medal, Second Class. MV Leon Martin (1915gr.t) was bound from Swansea to Hamble, carrying 2,300 tons of gas oil when it struck a mine and was sunk near the St. Anthony light (202 degrees, 5.2 cables), Of the crew of 25, 16 were lost. Private S/609, 1st Battalion Queen's Own (Royal West Kent Regiment). Killed in action 19 March 1915. Buried in Ramparts Cemetery, Lille Gate, Ypres, West-Vlaanderen: Grave ref. E2. Born Southborough, enlisted Tonbridge, Kent. Private 203943, East Surrey Regiment, serving with Labour Corps. Died 23 April 1918, age 40. Buried in Southborough Cemetery, Kent: Grave ref. 3.336. Husband of Nora Webb of 100 High Brooms Road, High Brooms, Southborough. Private L/10151, 1st Battalion Queen's Own (Royal West Kent Regiment). Killed in action 12 October 1914, age 19. Buried in Philosophe British Cemetery, Mazingarbe, Pas de Calais, France: Grave ref. IV.P.6. Brother of Lewis Wickenden of 81, Goods Station Road, Tunbridge Wells. Native of Southborough, enlisted Maidstone. Private 5389796, 7th Battalion Oxfordshire and Buckinghamshire Light Infantry. Died 27 September 1943. age 30. Buried in Salerno War Cemetery, Italy: Grave ref. V.A.4. Son of William Henry and Elizabeth Young of High Brooms; husband of Kathleen Florence Young of Rusthall, Tunbridge Wells.